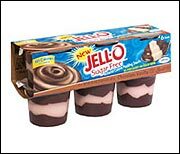 Just when you thought guilt-free Jell-O Pudding couldn't get any better, along come Sugar Free Jell-O Pudding Cups. With even fewer calories than their fat free Jell-O Pudding counterparts (60 vs.100), these swirly cups of creamy goodness are the ultimate in diet-friendly desserts. Perfect for anyone who wants portable pudding, or for those who are simply too impatient to wait hours for mixed boxed pudding to chill, these decadent little desserts are convenient and delicious. Hungry Girl Hint: Try dipping strawberries in 'em. Yum! 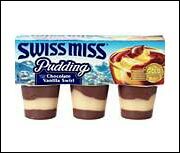 Jell-O Pudding was invented in 1936. It became an immediate success. Share this email with other pudding-lovers. Click "send to a friend" NOW!